These days television shows are swamping us with so many new, old and emerging series that it gets really tough for audiences to make an easy choice. With so many seasoned favorites, and great new series on our screens now, it pays to do a little research before plunging. No matter what your passion is, you’ll find it. But are there still high quality series that grip your attention and cause you to binge until the final episode? The answer is yes; and I’m going to show you two great TV series you can latch unto right now and be so glad you did. Don’t know your favorite genre, but I guarantee you that these two shows will make a die-hard fan out of you before the end of the first episode. 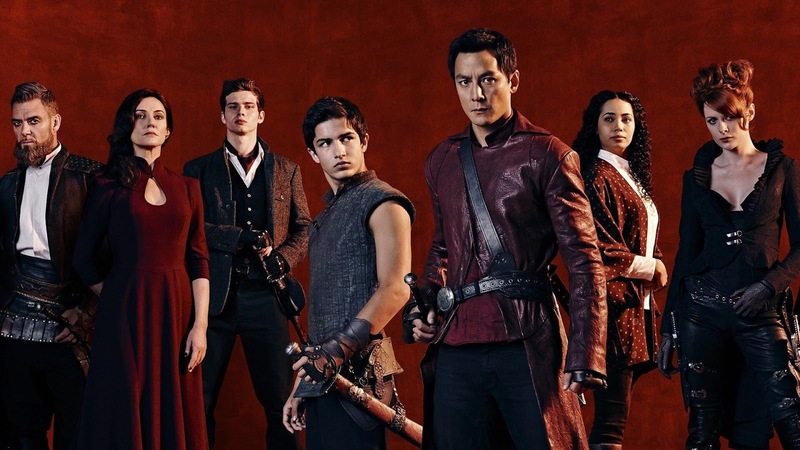 AMC’s Into the Badlands, is a refreshing and unexpected effort that beautifully combines compelling character drama with some of the best Martial arts fight sequences you have ever seen on TV or Film. 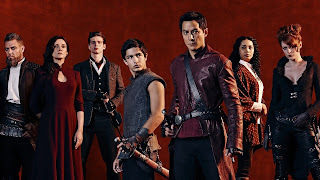 Set in a Feudal civilization filled with intrigue, violence, betrayal and death, this series starring Daniel Wu as a devastatingly skilled and troubled warrior named Sunny, will hold you spellbound in multiple ways, as it carries you on a wild ride you will never forget. Don’t let the pious sounding name fool you. 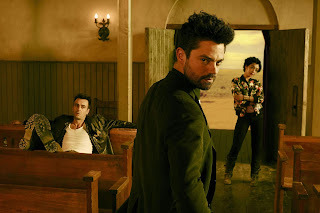 Preacher is a hard hitting and hilariously entertaining drama. It will glue your chair to the seat of your pants, and glue your eyes to the screen as you hungrily devour its unpredictable and hypnotic scenes. It is fast paced and crazy. One time Out law Jesse Custer fulfills a childhood promise to his late father and becomes a preacher, totally at odds with his true nature. Together with fire brand ex girlfriend and former partner in crime Tulip, and Irish Vampire Cassidy, they embark on a violent and nerve racking quest to find God. Don’t take my word for it, Go see these two hot TV shows and let me know what you think.